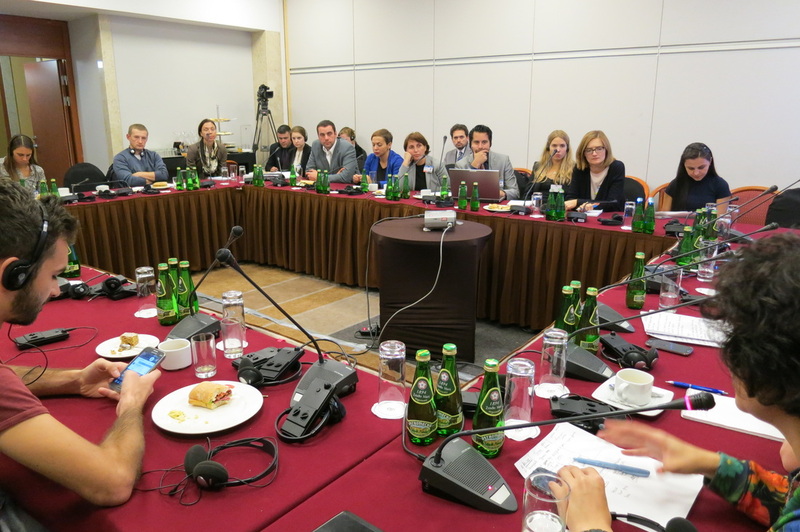 On 1 October 2014, IPHR organized a side-event on the problems of internally displaced persons (IDPs) in Ukraine, in parallel to the annual OSCE Human Dimension Implementation Meeting in Warsaw. The event was held as part of a project implemented in the framework of the Civic Solidarity Platform. 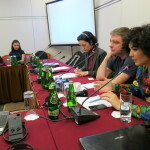 The event was moderated by Tina Gewis, Chief of Rule of Law at OSCE Office of Democratic Institutions and Human Rights, while the speakers included Ukrainian civil society activists Tamila Tasheva (Coordinator of the Crimea SOS initiative) and Maksym Butkevych (leader of Social Action Center ‘’No Borders’’ project), as well as IPHR’s project coordinator Simon Papuashvili. When opening the event, Tina Gewis spoke of a rights-focused approach and stressed the importance of relying on the UN Guidelines on Internal Displacement when addressing the problems of displaced persons. 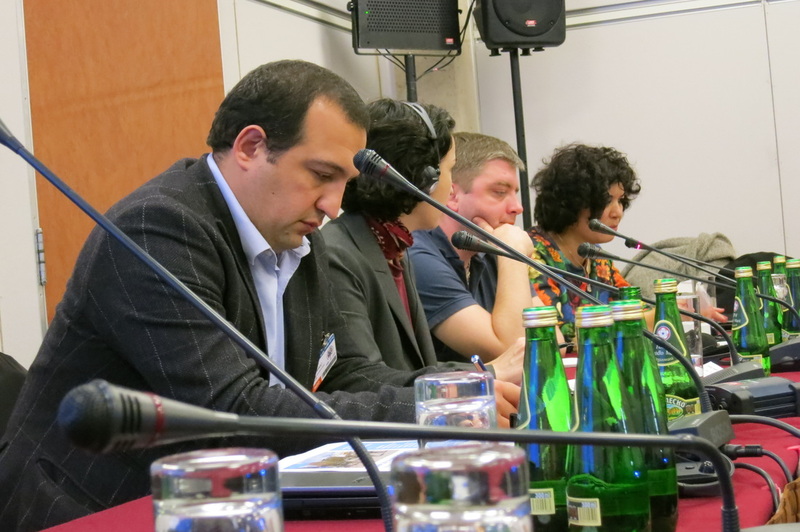 Tamila Tasheva spoke about the process of displacement from the Crimean Peninsula. She pointed out three major reasons that become the basis for displacement from Crimea: reasons of political affiliation, growing discrimination and worsening economic conditions. The Crimea SOS, coordinated by Tasheva has been providing humanitarian assistance and legal aid to IDPs since its creation in late February 2014. She identified the absence of an adequate legal framework on IDPs, the lack of a unified system of registration and collection of data of IDPs, as well as problems of housing and unemployment facing IDPs as key issues that require immediate attention by Ukrainian authorities. Maksym Butkevych spoke of the lack of a long-term vision by the Ukrainian government when addressing IDP issues. As a result of this, the government’s response has been reactive rather than proactive, leading to delayed and insufficient measures to address the most pressing needs of IDPs. Furthermore, he spoke of a so-called winterisation problem, emphasizing that most of the compact settlements that host IDPs are not suited for the winter season. The current economic crisis and problems with gas supply from Russia are likely to substantially worsen the situation of displaced persons during the winter. 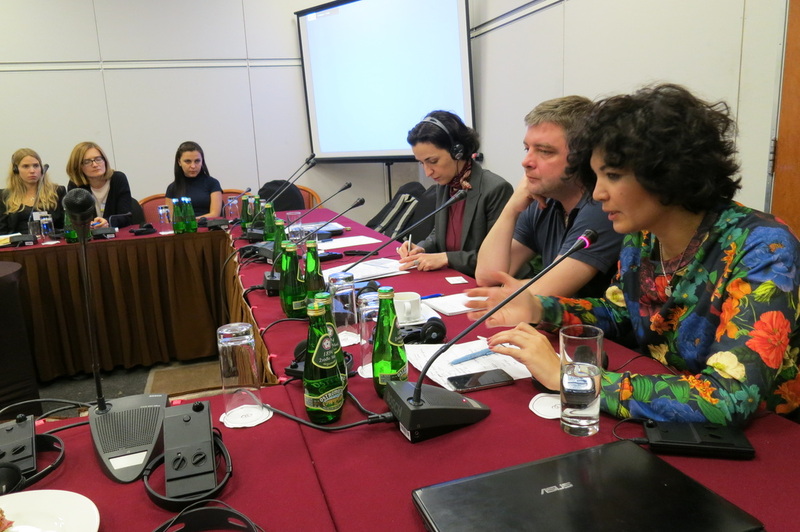 The presentations by Tamila Tasheva and Maksym Butkevych were followed by a lively Q&A session, during which both state and civil society representatives had a chance to get answers to specific questions. Most questions posed were related to the legal framework for the protection of IDPs, the participation of IDPs in the electoral process, and the response of international community to the growing needs of IDPs. 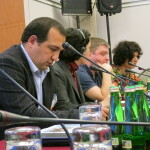 The event was concluded by Simon Papuashvili. He reiterated the need for a special law on IDPs that would, among others, define the status of IDPs and provide for a transparent procedure for granting such a status, establish a concrete set of rights for displaced persons and corresponding obligations for the state, and designate a high-level government body in charge of the coordination of IDP related issues. He also emphasized the need for external financial assistance to help meet the pressing humanitarian needs of IDPs. He noted that, in particular, EU Member States and the United States have a major role to play as humanitarian assistance providers.